LOWER LAKE, Calif. (KGO) -- The armourer for the medal-winning U.S. Olympic Fencing Team returned home this week to Lower Lake only to find that his home and business were destroyed in the Clayton Fire. Matthew Porter and his wife Karen had just bought their home with cash and moved to Lower Lake from Pacifica days before he left for the Olympics in Rio de Janeiro, according to a news release. Porter is a three-time U.S. Olympic armourer and was responsible for maintaining the U.S. fencing team's equipment during their competitions. "Matthew made sure our weapons were in absolutely top shape and was critical in making sure that we did not miss a single point due to our equipment. It is a shame that after he spent so much of his time making sure Team USA had the opportunities for success, he lost everything. 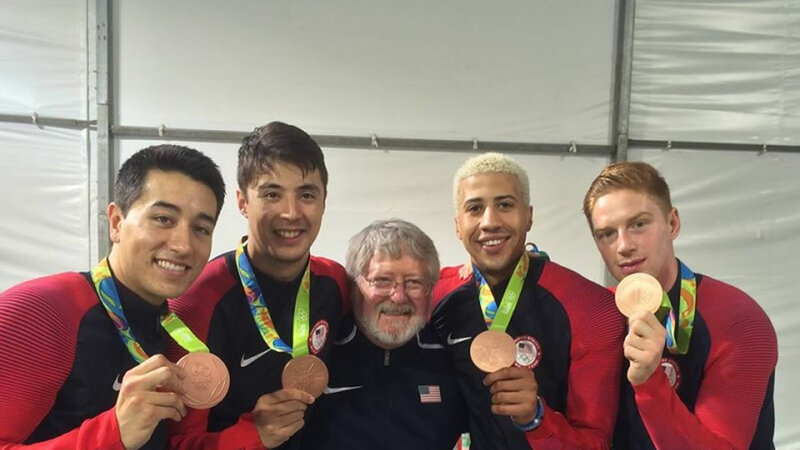 A GoFundMe page has been set up," said U.S. fencing team head coach Greg Massialas. Click here to donate to a GoFundMe account set up to help Porter and his wife. Click here for full coverage on the Clayton Fire.